Down one of the many cobbled lanes in Edinburgh, Scotland you’ll find Dovecot Studios, home to jewellers, art & crafters and couture specialists that have made their name in Britain. Every once in a while it’s refreshing to take a step back and understand where we stand in the jewellery timeline. Christina Jensen, MD of the Scottish Gallery, gives us a brief schooling on the history of British jewellery. I quickly learn how jewellery in 2018 is not wildly different to where it was 500 years ago. Sure, now we have 3D printers and mass technology - which helps - but most materials and gems that we have considered valuable over centuries are just a variation of what it used to be. Take the timeless classics; pearls. If we look at Mary Tudor and compare her to the Duchess of Cambridge, we can see how clearly dress and hair trends have (thankfully) evolved, but the jewellery differences are subtler than you might think. While Mary’s pearls convey her religious beliefs and Kate’s ones symbolise a contemporary fashion icon, the way they’re arranged is not hugely dissimilar. There may be five centuries apart, but I reckon Kate and Theresa wouldn’t say no to a rummage in Mary’s jewellery box. 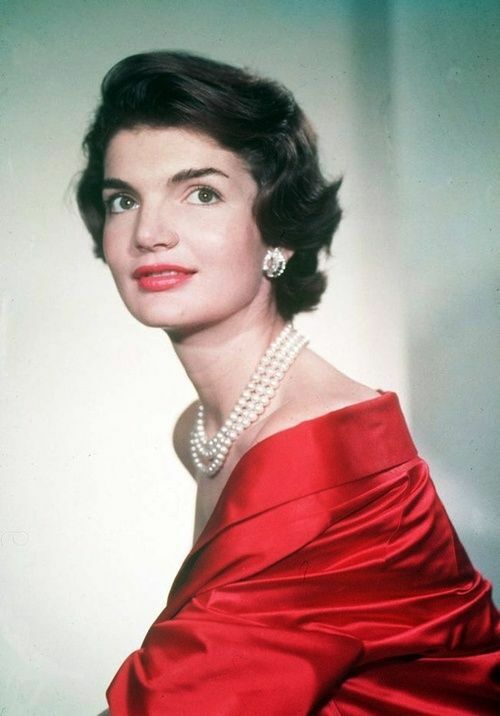 We can’t rely on orange being the new black for years - just as we sighed in relief when shoulder pads and petticoats left the scene - but we can bet on pearls for a lifetime. Orange might be the new black, but pearls will never go out of fashion. If in 500 years the classic pieces have only subtly shifted in style, maybe it’s time to rethink who our fashion models are. Looking for new jewellery inspiration this fall? Instead of flicking through last season’s Met Gala, how about checking out the Victorian Portrait gallery? Were you in Edinburgh for the Arts Festival? The Dazzle Exhibition is held there every year, featuring over 70 contemporary jewellery artists from all over the world. The next Dazzle Exhibition will be held in London on the 11th of November. Dovecot Studios is also hosting the Liberty Arts, Fabric and Fashion Exhibition, showcasing the history of Arthur Liberty and his textile influences from the Far East. Image Credits: Claudia Esnouf, Scottish Gallery, Marianne Anderson, Daily Mail and Pinterest.